I’m a bit torn here. My RPG board game is immensely popular with whoever plays it. On more than one occasion people have told me, “You need to market this!” But I haven’t even a clue how to market a board game and with the countless other board games already selling in comic shops (which I assume nobody plays) it seems a greater challenge than publishing. I suppose my game will exist solely for the enjoyment of friends and family. Still, it’s nice to know that in this age of computer games, console games and cell phone games, middle school kids (like my nephew and his friends) can still have a fun time throwing dice around and using their imaginations. Firstly, this is the board I am currently using. You can have one printed up at Kinko’s or make your own. Just e-mail me at alimonosbooks@gmail.com for the high def file. 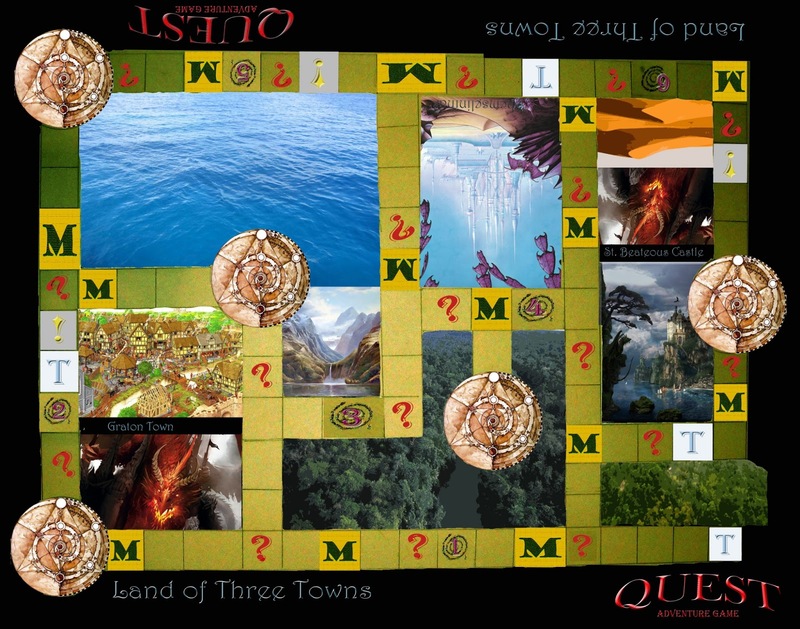 Now that I have switched over to WordPress, I can offer the complete QUEST FOR THE TALISMANS BOARD GAME for free as a downloadable PDF file! ← Quest for the Talismans: Monsters!